The organisers of this Saturday’s Women’s Big Bash League match at Cazalys are confident that Cairns’ premier AFL ground can produce an exciting contest. 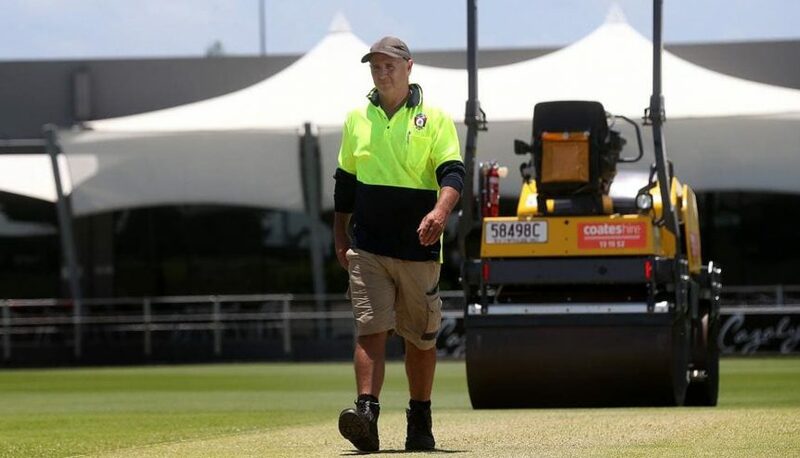 AFL Cairns facilities manager Mick Cornish said he and his six-man team had been toiling away for months behind-the-scenes in order to produce the pitch-perfect wicket. With heavy rain looming in the region as a result of ex-Tropical Cylone Penny, Cornish had the roller out earlier than expected to get a headstart on the final stages of preparation. “With the weather being a bit iffy, we started rolling it on Monday just to get a bit of work into it early,” he said. Cornish is no stranger to the task of preparing a top-tier wicket, having also taken the lead on Cazalys’ pitch preparations for Pakistan’s three-day tour match against a Cricket Australia XI in December 2016, and the Queensland v South Australia Sheffield Shield match in 2017. And he seems to have the fine art of pitch curation down to a tee. AFL Cairns president Gary Young, while Queensland Cricket had sent people up from Brisbane to oversee the wicket’s preparations in previous years, they didn’t bother to send anyone this time. “We’ve been doing it quite a while and this year they said “no, these guys know what they’re doing.” he said.